“Oh, we were at Oxford together.” After years of coming across that line in novels, movies and countless episodes of “Masterpiece,” now I too can say it. 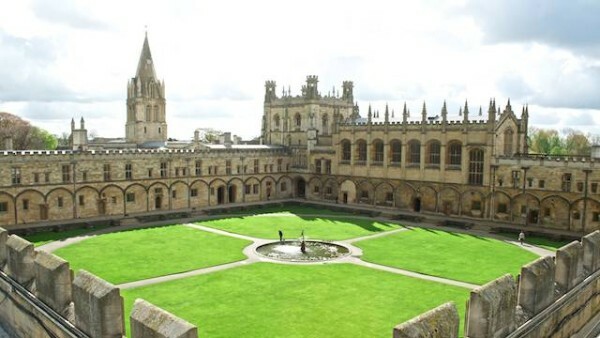 I was at Oxford with 10 others who were there to learn about the Romans in Britain, as well as with 115 other English-speakers who were taking the week’s various courses in a summer program called The Oxford Experience. Most of the university’s customary 20,000 students were off on holiday. We Oxonians pro tem did come, from as far away as Hong Kong and Australia to spend a week of vacation time in the 500-year-old campus of Christ Church. Some had come many times before; one New Yorker had signed up for her thirty-sixth course spread over 16 years. 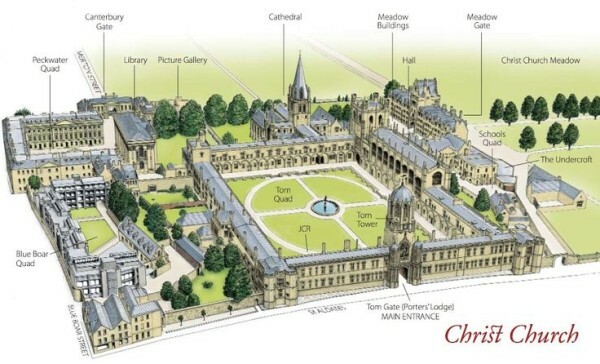 Christ Church is the largest and oldest of the 39 colleges that make up Oxford University. It was established in 1546 by England’s Cardinal Wolsey, before Henry VIII fired him. In contrast, The Oxford Experience goes back only to 1990 and each of its six weeks presents a choice of about a dozen different subjects. I chose to learn about the Roman occupation of Britain. I had been tempted by the course on the Vikings, the Normans, Jane Austen, Charles Dickens and stately homes, but I opted for the Romans since I had seen so many of the great works they had left behind and wondered how they had managed it all. The Oxford Experience proved an apt title. We were truly doing Oxford and it was truly an Experience. We slept in Spartan, TV-less, usually bathroom-less rooms in ancient buildings clustered in the various complexes called quads, (quadrangles). Some, like me, paid $289 extra to snare one of the bath-equipped rooms in Meadow Quad or in St. Aldate’s Quad, next to the Christ Church Choir School across St. Aldate’s Street. We ate self-service breakfasts and lunches and waitress-served dinners at long wooden tables in the gigantic portrait-lined Hall. We munched our morning muesli or lunchtime salads under the uncaring eyes of academic luminaries such as Henry VIII, his daughter Elizabeth I and their most recent successor, Elizabeth II, as well as several former prime ministers. 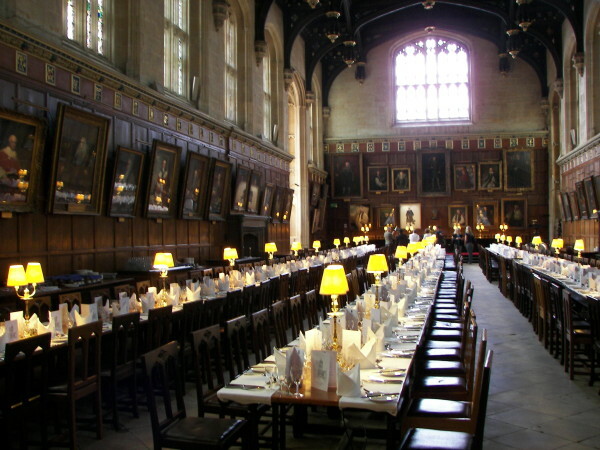 The Hall looked familiar because it inspired many American college dining halls but mostly because it played the cinematic part of the dining hall at Harry Potter’s Hogwarts. Despite passé legends of Britain’s inedible cooking, most of us found the meals to be excellent. In deference perhaps to the American clientele—as much as 50% of each week’s student body—pitchers of ice water stood every few foot on each table and tea or coffee (quite good) were always available. Since the participants’ median age was about 50, wine was included at some meals and was purchasable at the Buttery, the bustling little bar outside the Hall. A generous glass of wine cost less than $4.00. The six different course weeks follow a single pattern. The week starts Sunday. Although there is direct bus service from Heathrow and Gatwick airports, as well as a train from London, I went up to Oxford on a bus from London’s Victoria Motor Coach Station. I wheeled my suitcase through Tom Gate, was ushered to a desk where I went through a three-minute registration process and had my suitcase whisked off by a porter, actually a local enrolled at a distant university. I was steered through lawns and passageways to Meadow Quad , site of my Spartan but well-organized room. It had lots of drawers and bookcase space and a desk, but no immediately visible outlet in which to plug the electric kettle that is standard in UK hostelries. Unlike many students who had to walk up or down several flights to use a shared toilet and bath, my bathroom was, as the Brits say, en suite; that is, attached. Our first official activity was lunch. We were then free until a 6:00 pm orientation session in what seemed like a very distant other quad. We were welcomed, given a rundown of the week’s activities, heard a brief introduction to each of the tutors, as those who teach at the university are called. We then walked to yet another quad for an outdoor champagne reception, where I had a lively conversation with another female student whom I never saw again (I did share meals, tours and a concert with various others I encountered but even some of my classroom pals seemed to fade into the campus bustle). Each of the class groups followed roughly the same schedule on Monday, Tuesday, Wednesday and Friday. Self-serve breakfast (cereal, fruit, eggs of the day, bacon or sausage and properly cold British toast on request), 7:45-8:45 AM. At 9:15 I and my fellow Romans gathered in the study adjacent to Mark’s own sleeping quarters, and perched on the wooden chairs, leather chairs and leather sofa, assuming seats on Day One that we automatically returned to throughout the week. Mark sat up front, next to the screen on which he projected photos of Roman-built buildings and forts in England plus maps and portraits of various celebrities of the 410 BC to 44 AD stretch during which the Romans colonized large chunks of the UK. Thursday was the customary day for field trips . We Romans shared a mini-bus to visit several original Roman sites, most particularly Cirencester where contemporary Britons have built a wonderful museum, filled with clearly annotated objects and little children enthusiastically trying to draw them. Our group each paid about $90 and brought our own lunches, which, constrained by the drizzle and time, we ate in the mini-bus. Each evening brought a lecture by one of the tutors, or a whisky tasting, or a performance by Morris Dancers, or a chance to play croquet and sip wine with the faculty. One night, some of my new friends and I went to a candlelight concert at nearly Exeter College while others went to see an outdoor production of “The Merchant of Venice.” A different batch of students each night took its turn to sip and dine with the tutors at High Table, sitting on a raised platform at the front of the Hall. For this, we were expected to dress up. Each week climaxes on Friday with an outdoor wine reception and a gala dinner in the Hall, where everyone is offered red wine, white wine, port, roast beef with all possible trimmings, two desserts and an official-looking diploma headed “Oxford Experience,” certifying completion of the week’s course. On Saturday, we were bidden to clear out by 9:30 am and return to our pre-Oxonian lives. 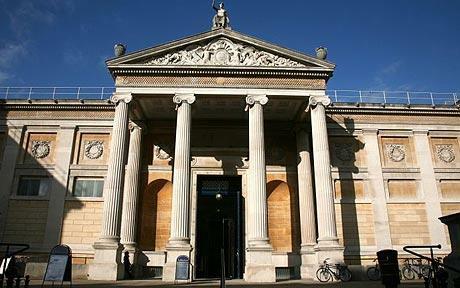 I opted to stay around Oxford, spending time among the art treasures of the University’s Ashmolean Museum and a brief visit to the Pitt Rivers Museum’s natural history collection. Later, sipping yet another glass of wine on the bank of the River Cherwell—the one all those Masterpiece Theatre characters were always rowing on—I decided my week among the Oxonians and Romans had taught me a lot about each, plus given me grand doses of Shakespeare, English history, English cuisine, English countryside and lots of laughs. Oxford has emailed me a list of enticing offerings for 2016, at a course price of $1,898—plus the $289 extra for a private bathroom. born below the Mason-Dixon line, she has specialized in winter sports, particularly skiing. Win a National Park Trip with O.A.R.S. What a wonderful experience. It is now on my bucket list! Informative, interesting account except for the most important factoid: how much? Reminds me of the grub palaces coyly leaving prices off menus lest the customer suffer a seizure. Maybe I overlooked it. 1,285 Pound Sterling, or about $1,810. Sounds like a great trip, Abby. Nice to see your writing, too. Look forward to reading more.